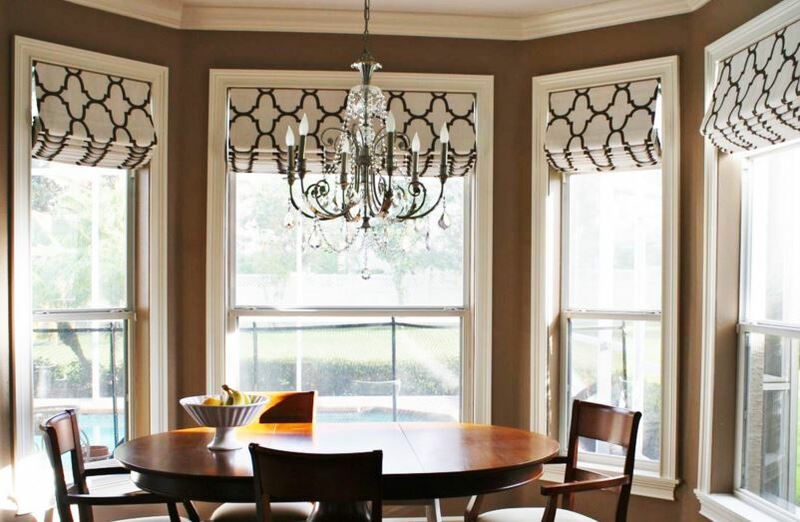 How to Prevent Sun Damage with Window Treatments! 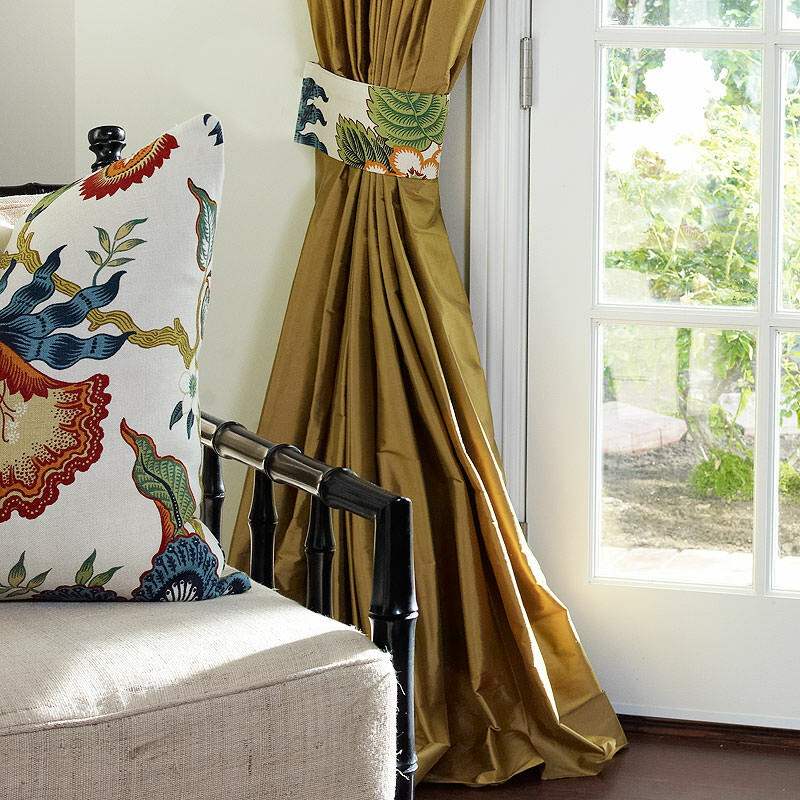 Sunlight can be hard on fabrics and other materials, causing color fading and ultimate deterioration of the fabric. 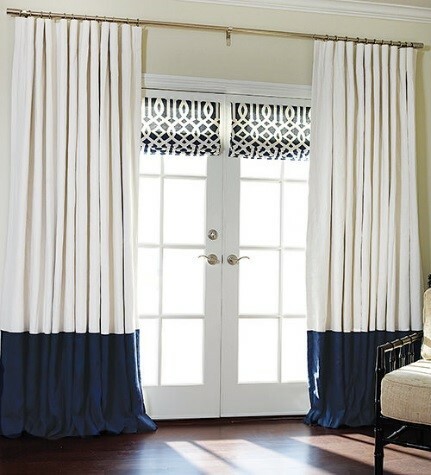 This is bad news for some window treatments, which are often hung specifically to block bright sunlight from entering rooms and damaging the furnishings inside. 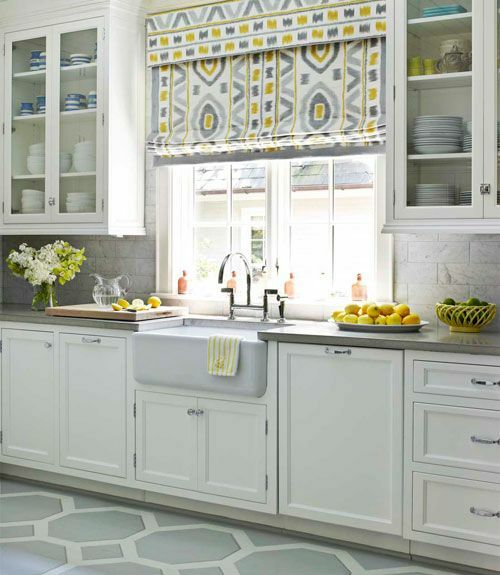 While window shades and curtains protect furniture, rugs, and other items from fading, they take the brunt of the damage from the sun. 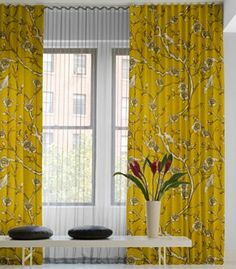 It’s no surprise that window treatments are most in danger of fading and sun damage, especially when hanging from bright, sunny windows. 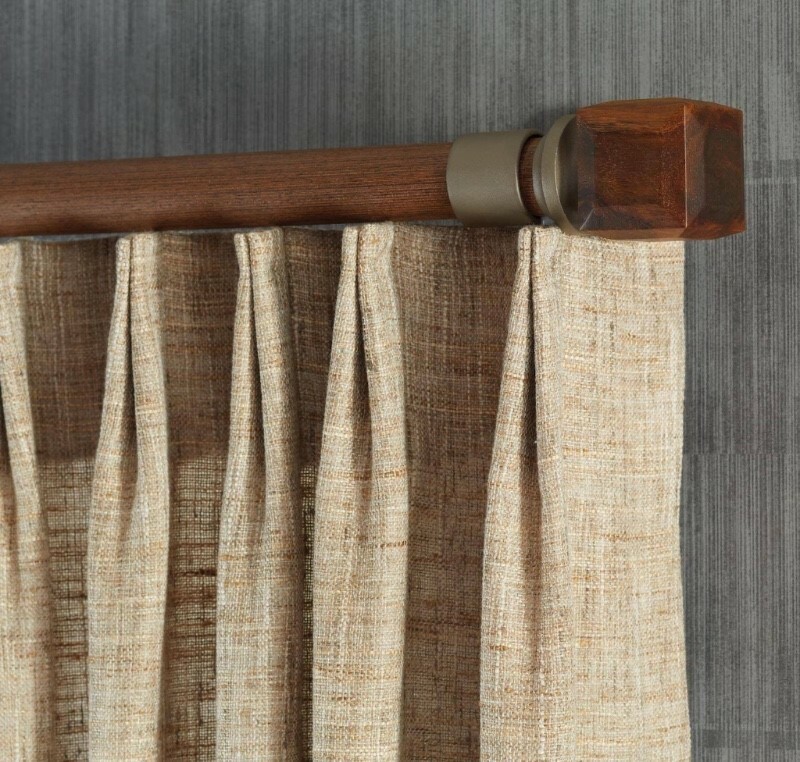 In order to keep your window treatments looking fresh for years, choose window treatments that can stand the test of time. 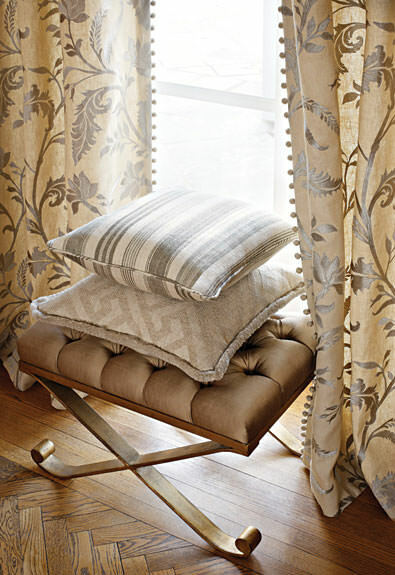 If your furnishings are near or facing a window, there is a good chance that they may be damaged from the sun’s rays. 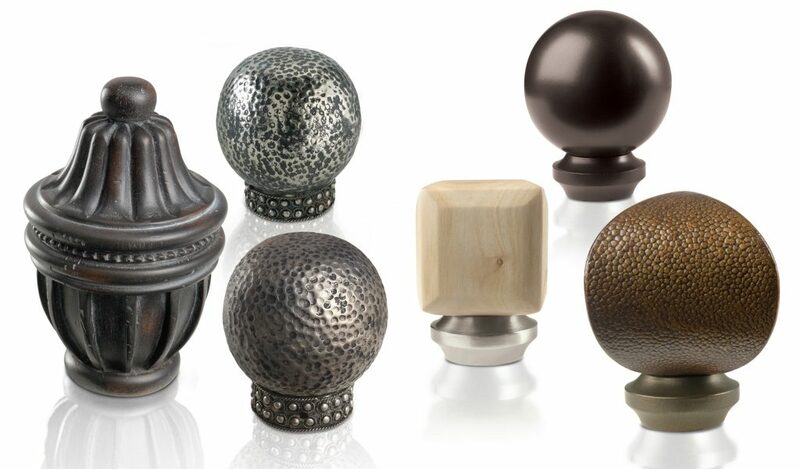 Protection for your furniture is not much different than protection for your skin. 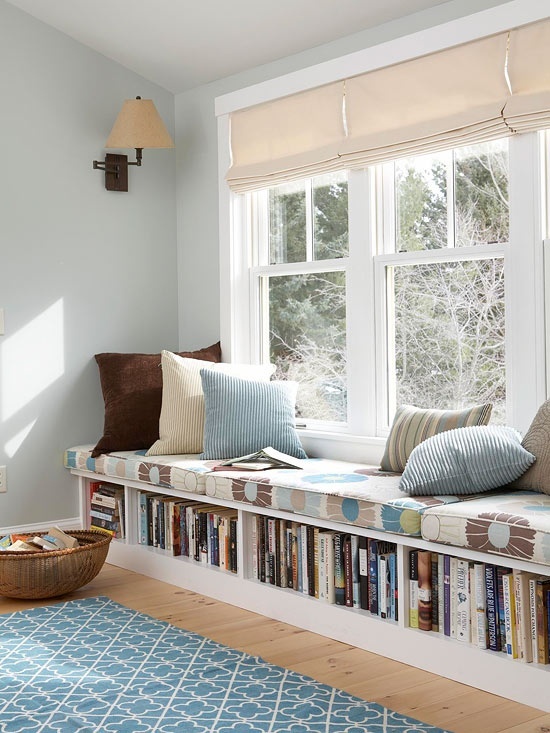 Long-term exposure to sunlight can damage your furnishings similar to your skin. 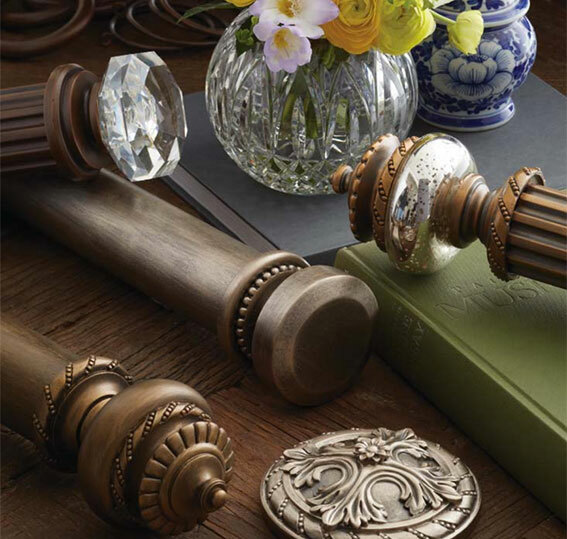 The sun has different effects on leather, fabric, and wood. 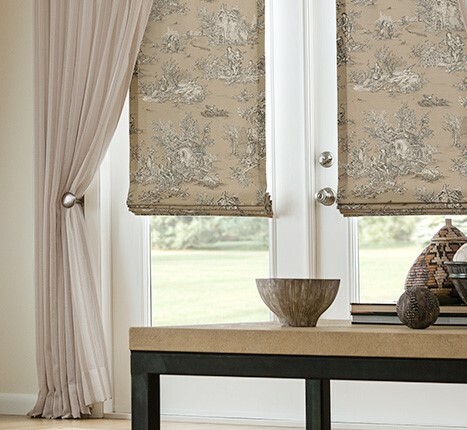 Our window treatments will help protect not only your furnishings from the sun but yourself as well. They help filter the harsh effect from sunlight, like UV rays. 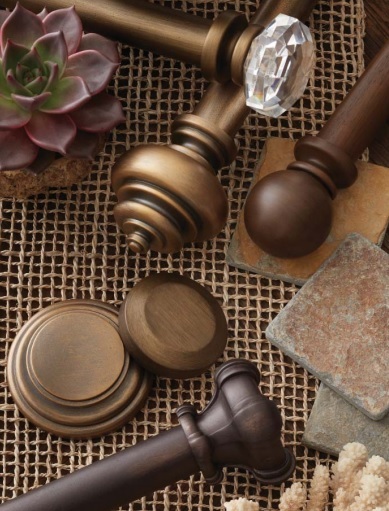 Natural light is great but can be harmful to your furnishings over time. 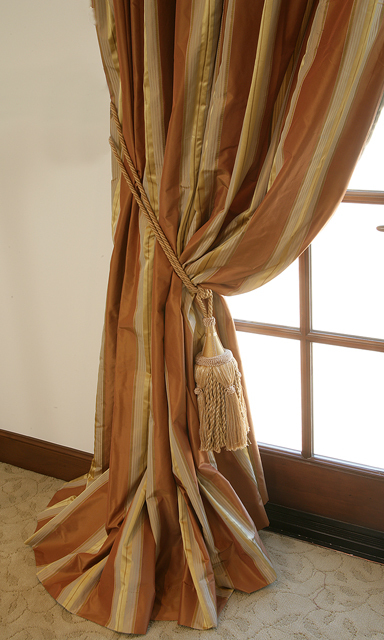 Direct or even non-direct sunlight can cause fading, discoloration and even damage to fabric. 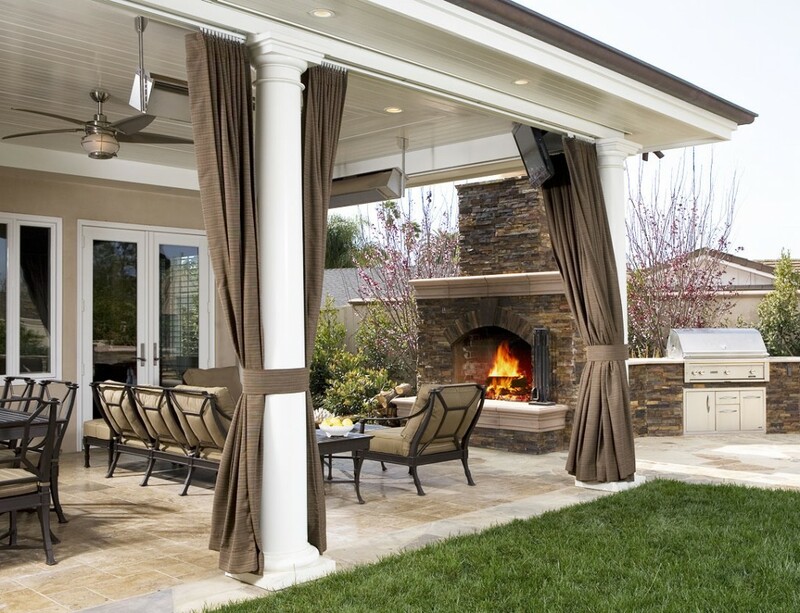 UVA and UVB rays account for the most damage along with heat and infrared energy. 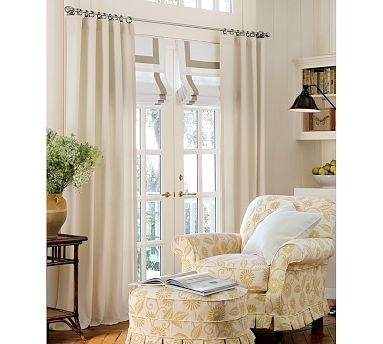 Leaving windows unprotected allows UVA and UVB rays to penetrate your home and over time ruin your home furnishings. 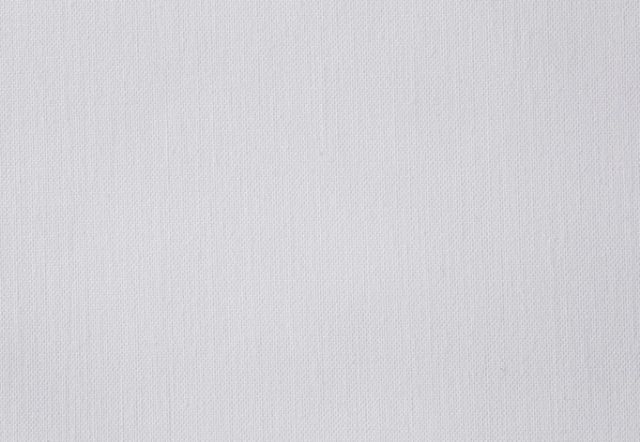 Why does the sun bleach fabrics? It’s all down to science. There is water present in all fabrics, and the ultraviolet light from the sun catalyses a reaction between the water and the oxygen in the atmosphere, which produces hydrogen peroxide. 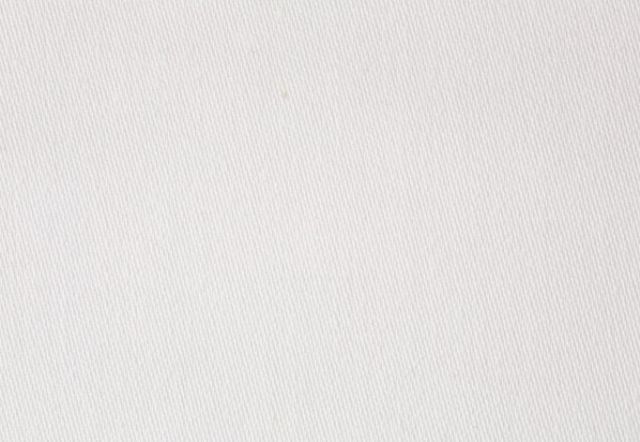 Hydrogen peroxide is a bleaching agent which works by breaking down the chemical bonds that give dyes their color. As well as breaking down the color of the dye, the sun’s rays can also cause the fabric to become brittle and more prone to breakage. 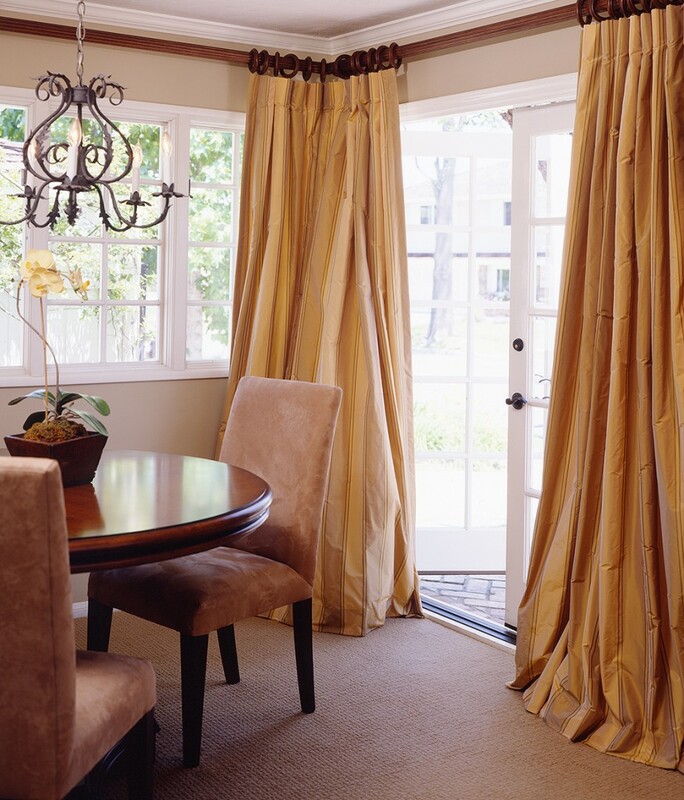 Drapes and curtains are not only great for blocking out the suns rays, but they will also keep hot air out during the summer and warm air in during the winter. 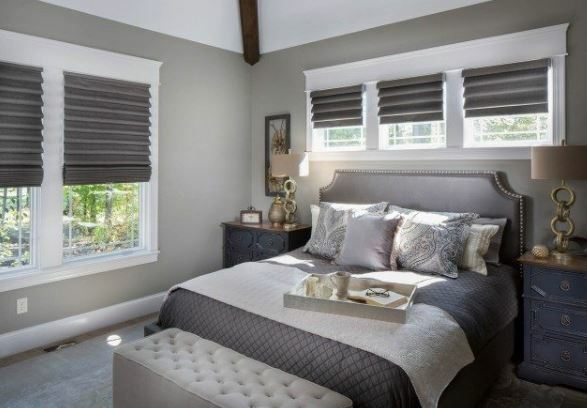 Before the heat of the day builds inside your room it is a good idea to close your blinds to block any sunlight and heat that may enter your home. 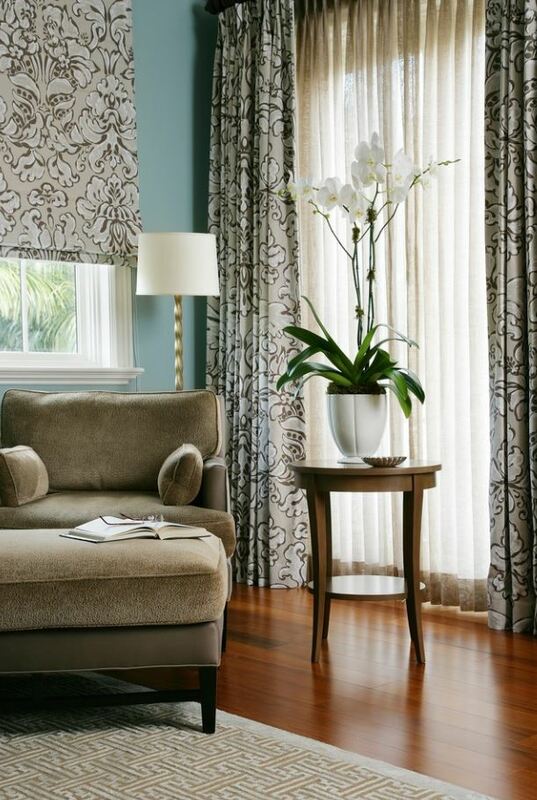 DrapeStyle has been providing the highest quality curtains and drapes for over 15 years. 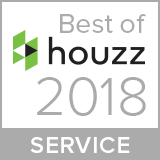 We are a family company that is committed to providing customers with high-quality service and care. 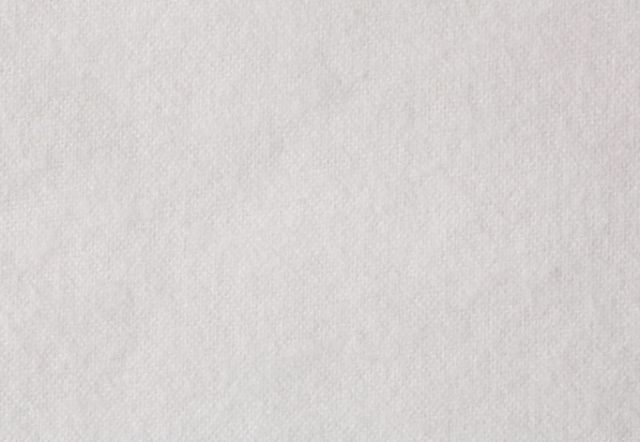 We use only the highest quality linings and interlinings from Hanes. 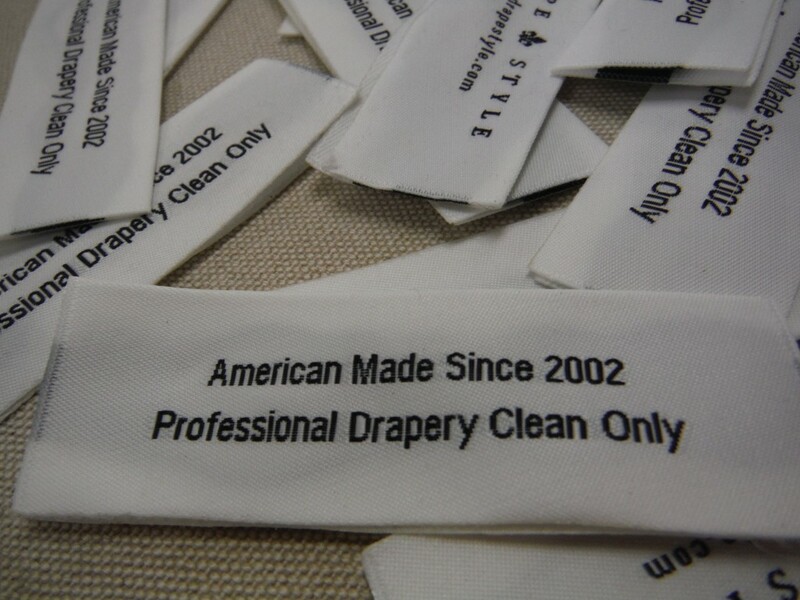 Hanes is one of the oldest textile manufacturing firms in America. 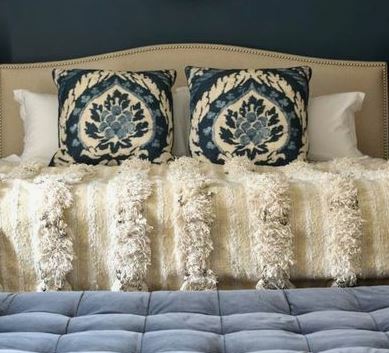 While Hanes is well known for their clothing fabrics, those in the textile industry know Hanes for their high-quality linings and interlinings. 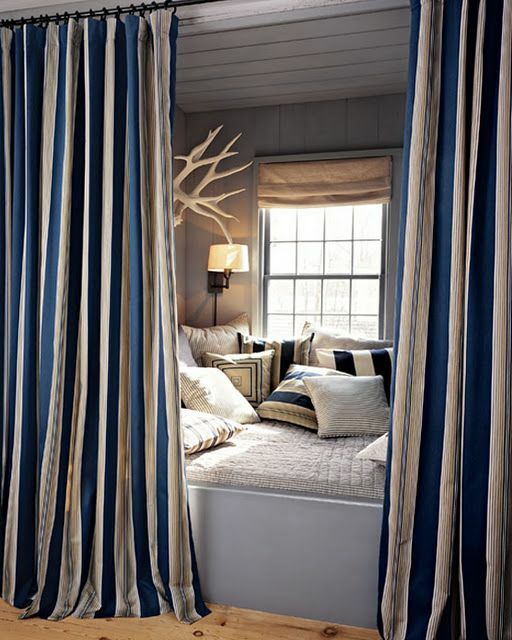 Hanes is recognized as the leader in residential drapery lining products. 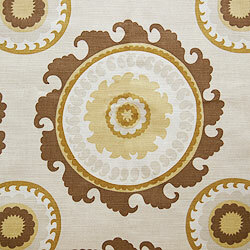 For more information on our linings, please see our lining guide. 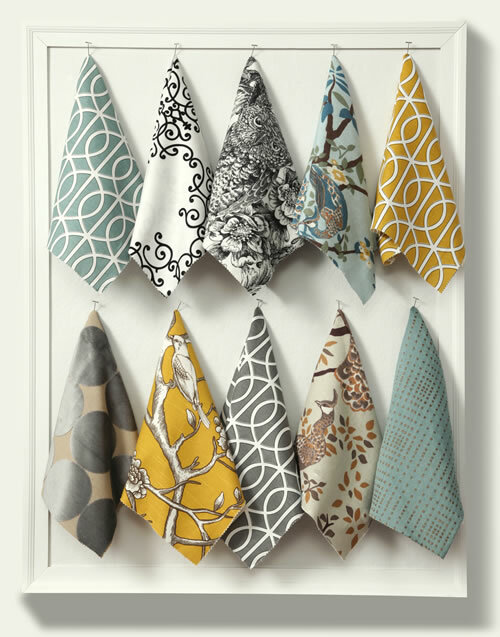 DrapeStyle carries many designer fabrics, including fabrics from Dwell Studios. 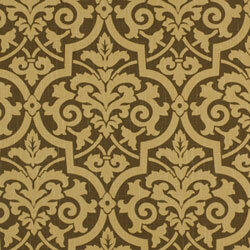 Some of our best selling fabrics come from this line. 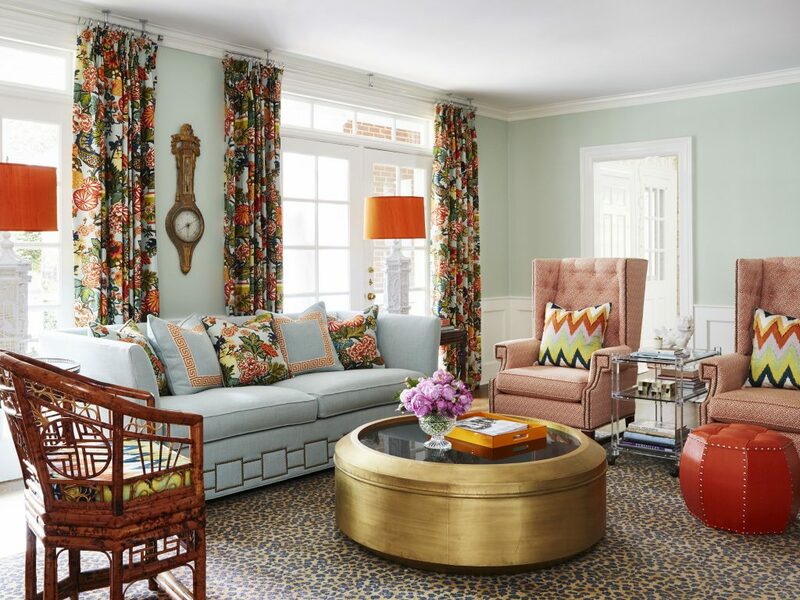 Eclectic, modern, colorful. 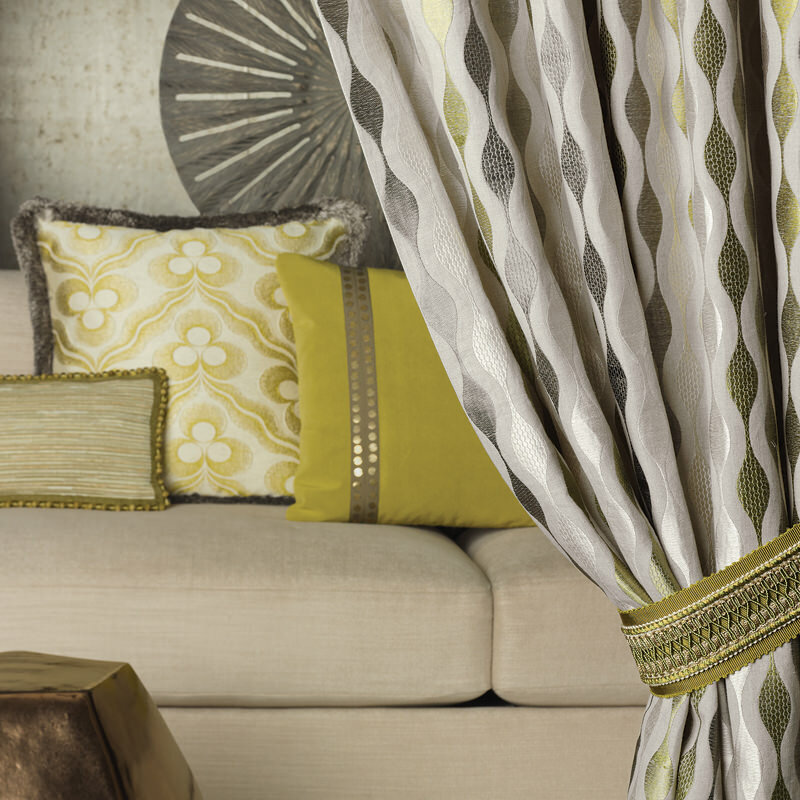 Just a few ways to describe these fabulous fabrics. 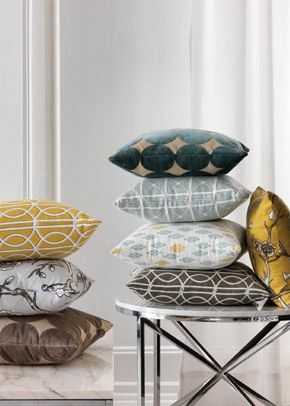 Feel free to browse the Dwell Studios Modern Collection, Dwell Studios Modern Archive Collection, or the Dwell Studios Modern Bohemian Collection. 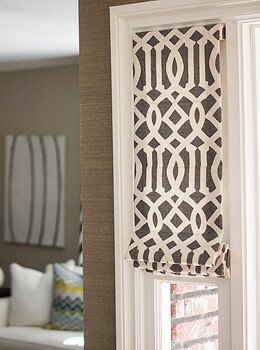 We can make any of our draperies or Roman shades in the Dwell Studio fabrics. 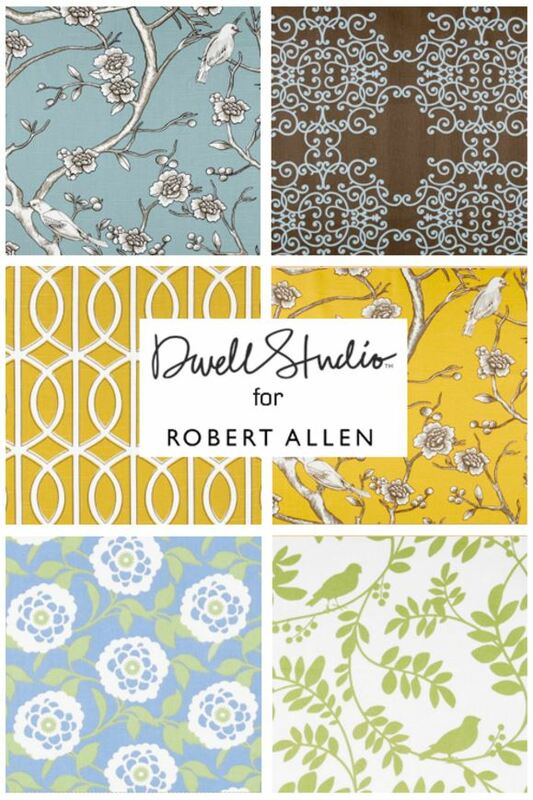 If you see something you like, we would be happy to send you samples of any of the Dwell Studios Fabric Collection. 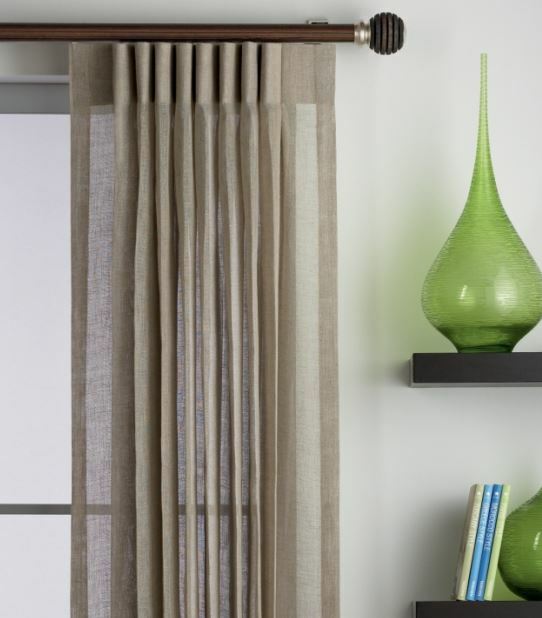 At DrapeStyle you determine your pleat style. 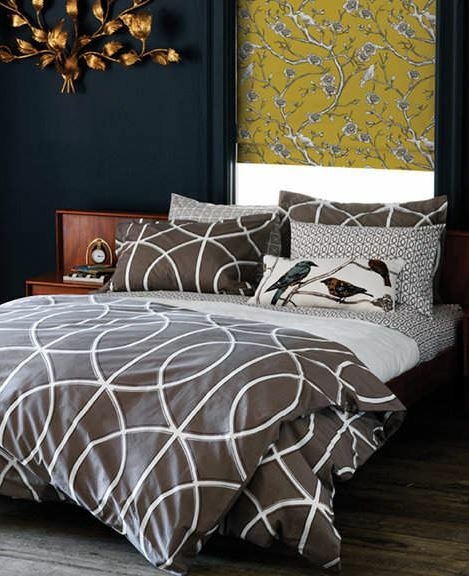 Blackout lining, interlining and English bump are all examples of the lining options you can choose from. 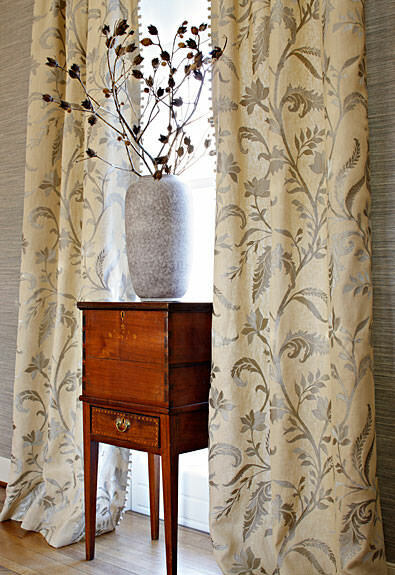 Do you need drapes or shades in lengths and widths not generally offered at other retailers? 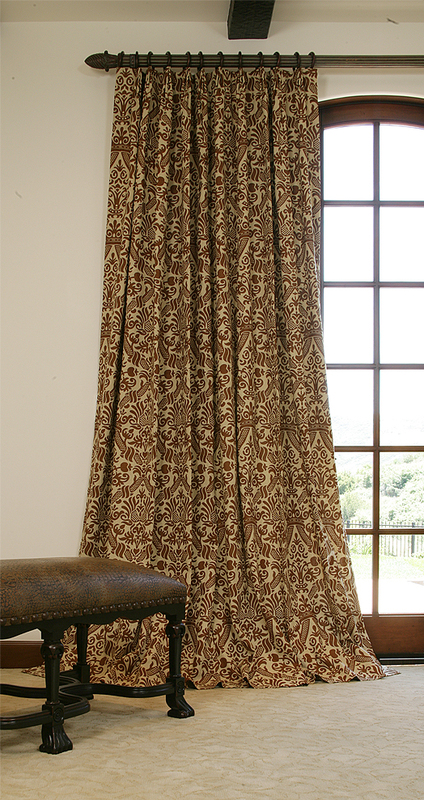 We custom make draperies and Roman shades to your specifications. Elizabeth Griscom — also called Betsy, the eighth child and a fourth-generation American, was born on January 1, 1752. Betsy went to a Friends (Quaker) public school. For eight hours a day she was taught reading, writing, and received instruction in a trade — probably sewing. 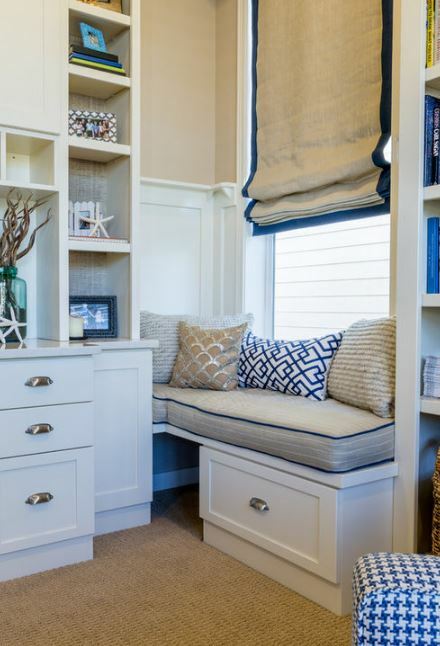 After completing her schooling, Betsy’s father apprenticed her to a local upholsterer. Today we think of upholsterers primarily as sofa-makers and such, but in colonial times they performed all manner of sewing jobs, including flag-making. It was at her job that Betsy fell in love with another apprentice, John Ross, who was the son of an Episcopal assistant rector at Christ Church. Quakers frowned on inter-denominational marriages. The penalty for such unions was severe — the guilty party being “read out” of the Quaker meeting house. Getting “read out” meant being cut off emotionally and economically from both family and meeting house. One’s entire history and community would be instantly dissolved. On a November night in 1773, 21-year-old Betsy eloped with John Ross. They ferried across the Delaware River to Hugg’s Tavern and were married in New Jersey. Her wedding caused an irrevocable split from her family. 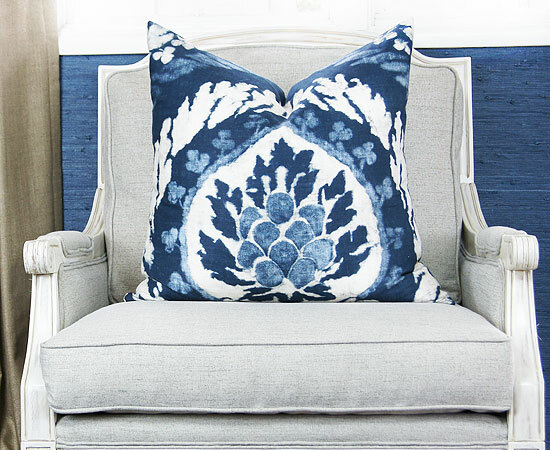 Less than two years after their nuptials, the couple started their own upholstery business. 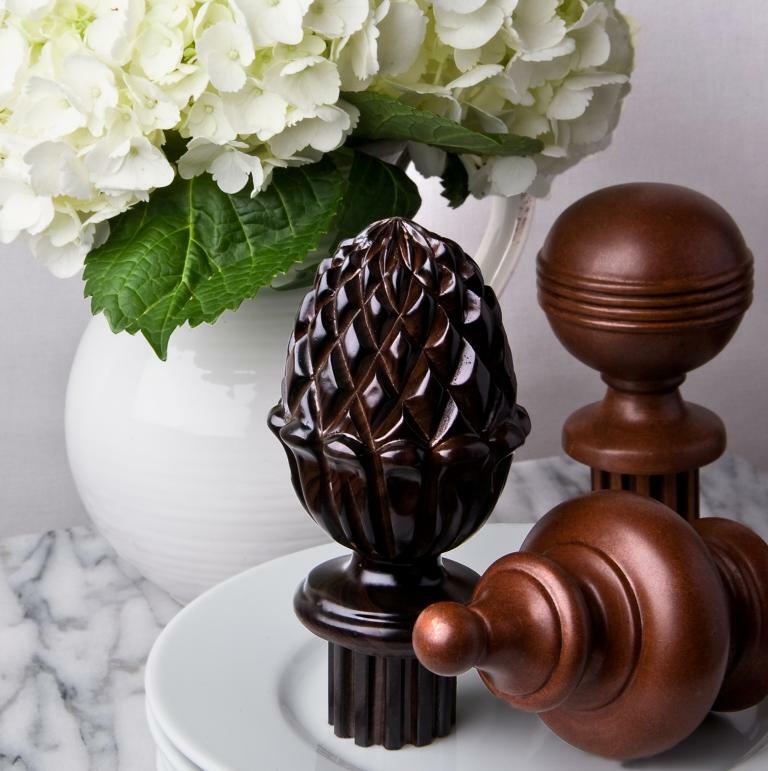 Their decision was a bold one as competition was tough and they could not count on Betsy’s Quaker circle for business. As she was “read out” of the Quaker community, on Sundays one could now find Betsy Ross at Christ Church sitting in pew 12 with her husband. Some Sundays would find George Washington, America’s new commander in chief, sitting in an adjacent pew. 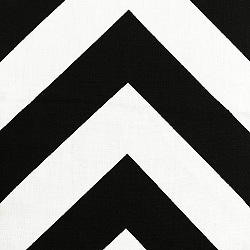 Betsy Ross was a widow struggling to run her own upholstery business. 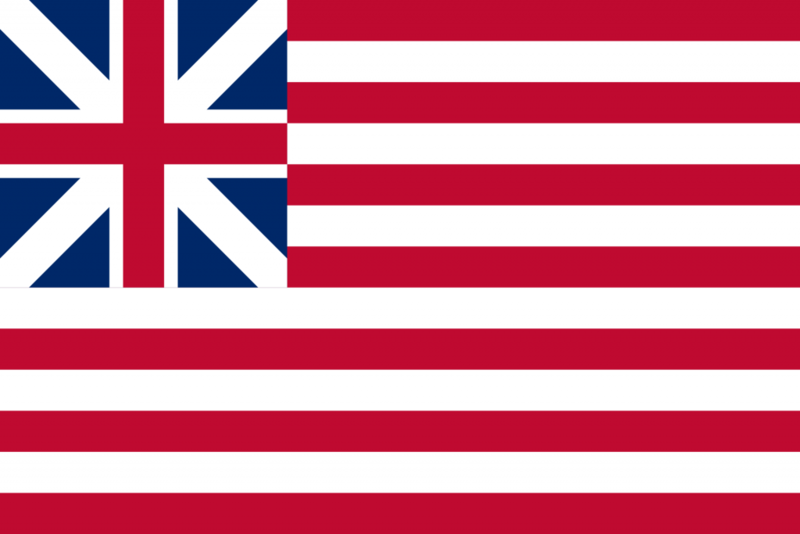 Upholsterers in colonial America not only worked on furniture but did all manner of sewing work, which for some included making flags. Betsy would often tell her children, grandchildren, relatives, and friends of a fateful day, late in May of 1776, when three members of a secret committee from the Continental Congress came to call upon her. 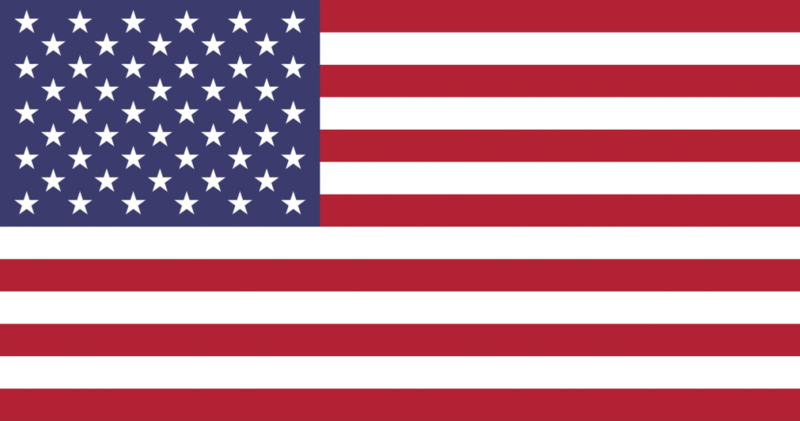 Those representatives, George Washington, Robert Morris, and George Ross, asked her to sew the first flag. George Washington was then the head of the Continental Army. Robert Morris, an owner of vast amounts of land, was perhaps the wealthiest citizen in the Colonies. Colonel George Ross was a respected Philadelphian and also the uncle of her late husband, John Ross. 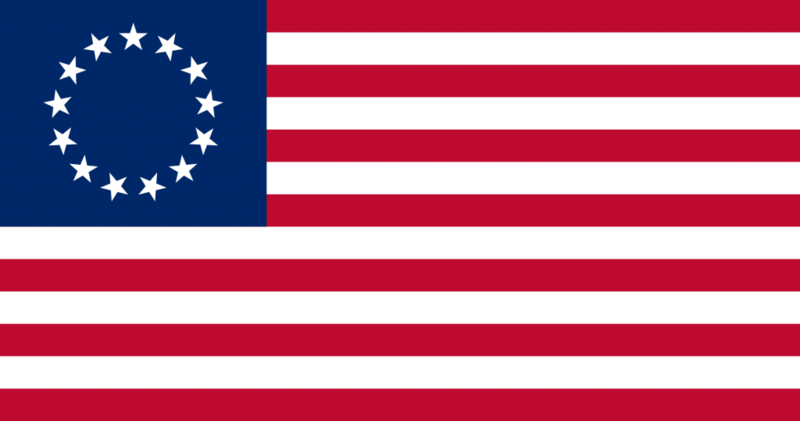 According to Betsy, General Washington showed her a rough design of the flag that included a six-pointed star. Betsy, a standout with the scissors, demonstrated how to cut a five-pointed star in a single snip. According to Betsy Ross’s dates and sequence of events, in May the Congressional Committee called upon her at her shop. 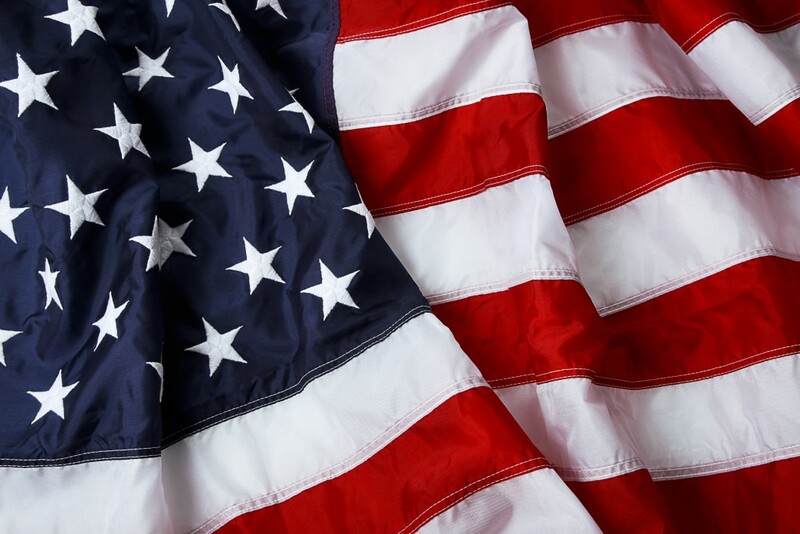 She finished the flag either in late May or early June 1776. In July, the Declaration of Independence was read aloud for the first time at Independence Hall. 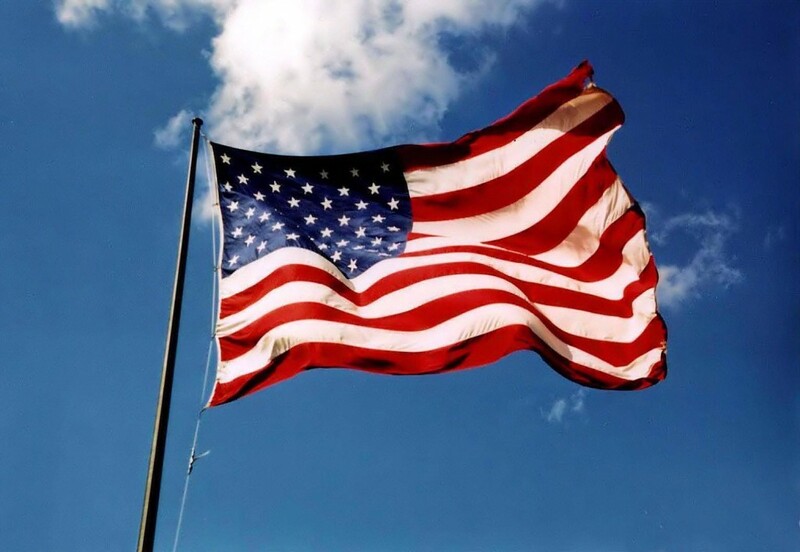 Amid celebration, bells throughout the city tolled, heralding the birth of a new nation. 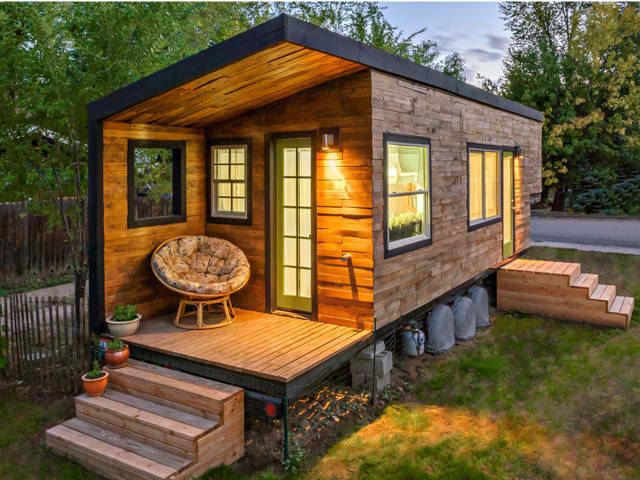 This Tiny Houses trend. 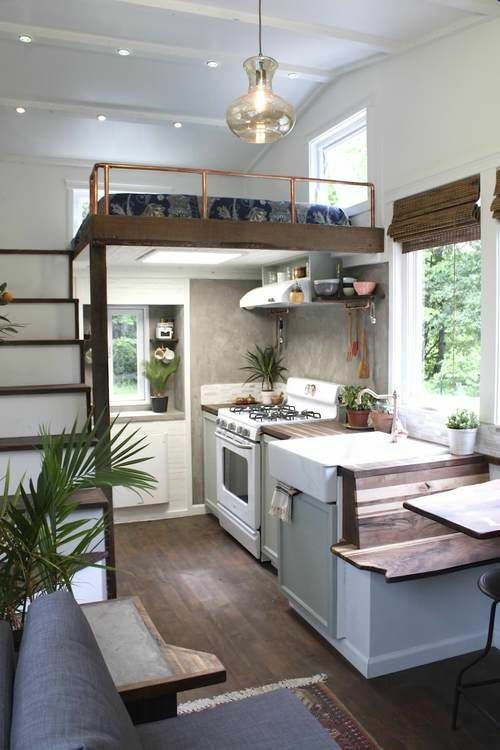 Simpler living in a smaller space. 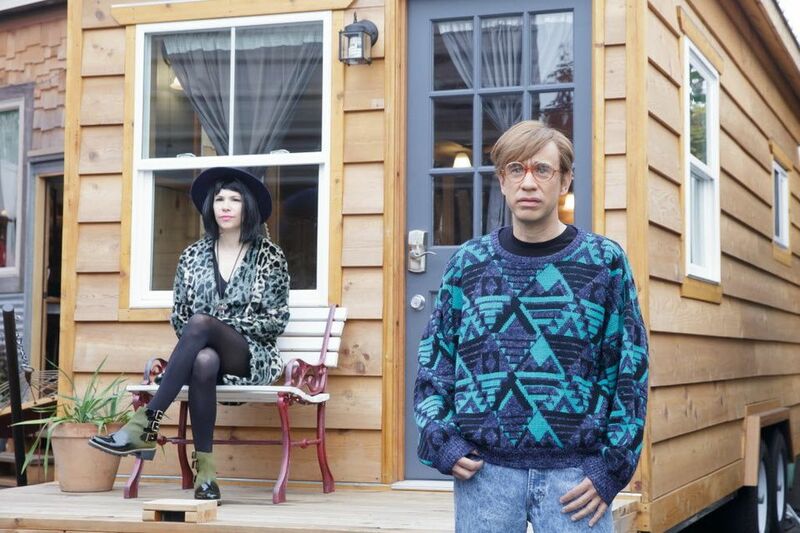 “What are tiny houses? 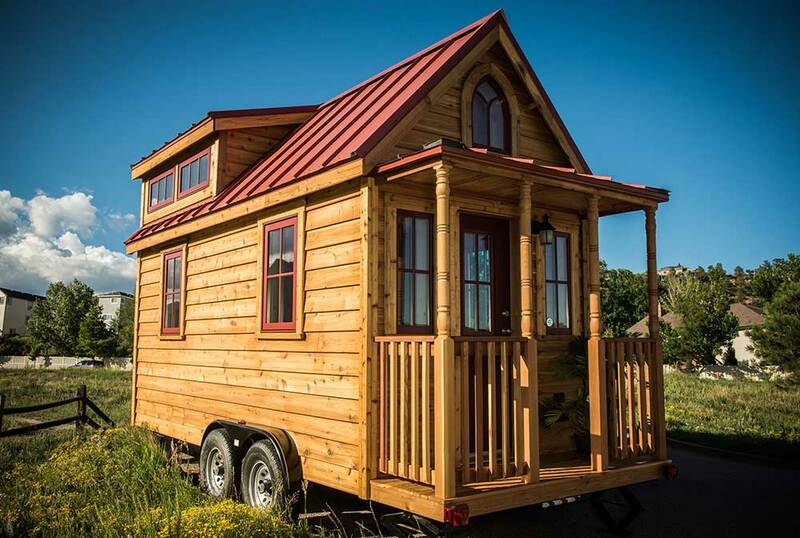 The tiny house movement? 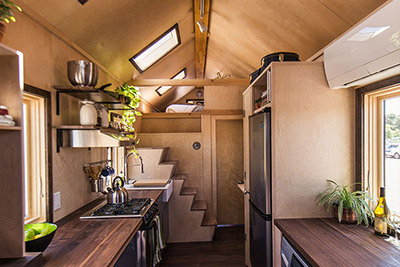 Tiny living? 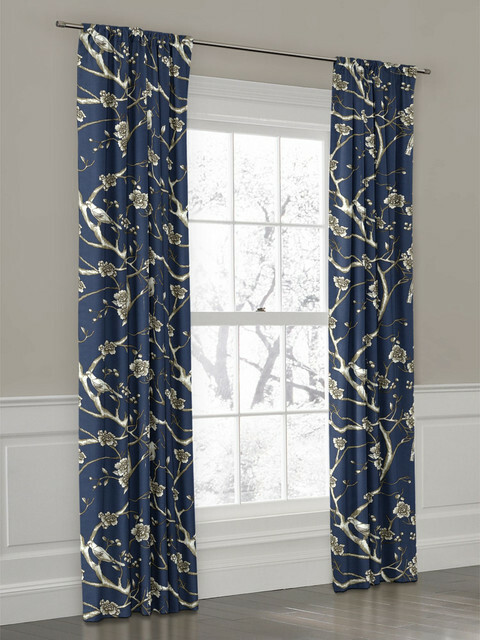 DRAPERY LINING-How Do I Choose? 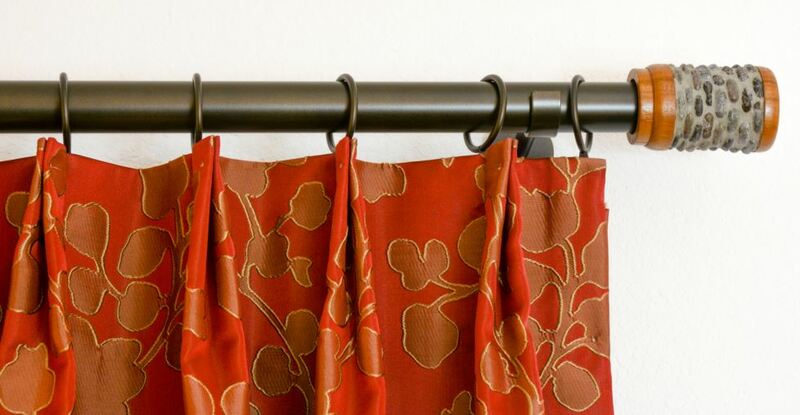 Drapery Lining Guide – The Smart and Beautiful Way to Save Energy. 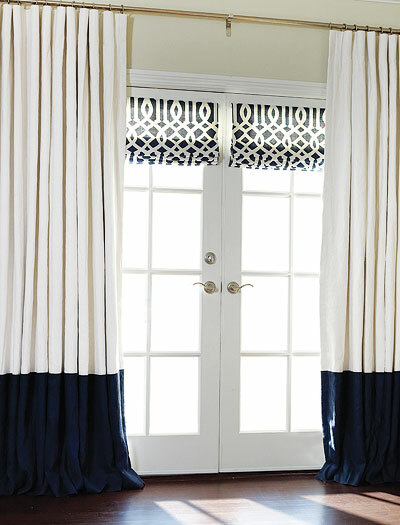 Selecting drapery lining and interlining for your new drapes, curtains or roman shades is one of the most important decisions you can make for creating the “Perfect Custom Curtain or Drape” for your home. 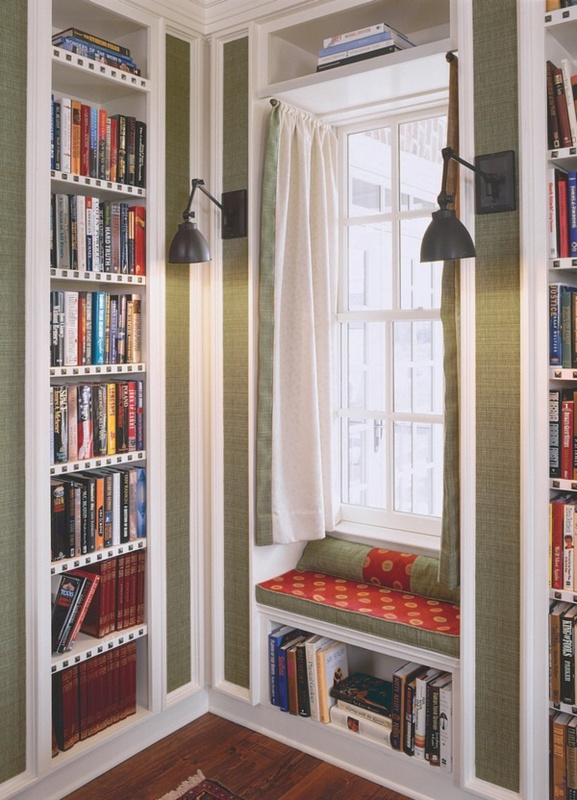 By adjusting your lining and interlining choices, you can create specific results for your room. 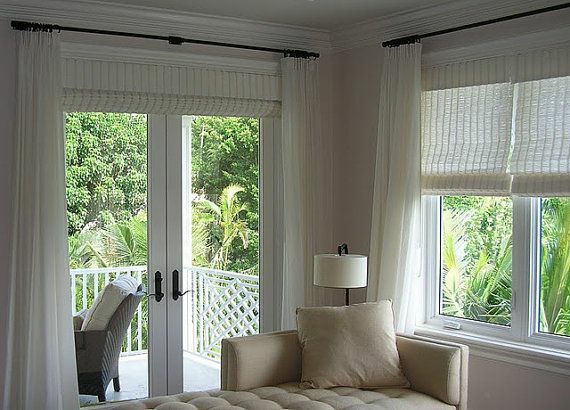 Whether you are trying to reduce light penetration, reduce external noise, save on energy costs or just wish to create a fuller bodied drape, your drapery lining choice is key. 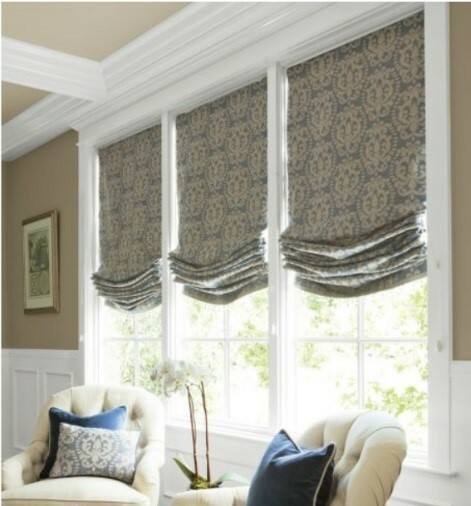 Properly lined and well made custom drapery and roman shades can provide significant insulating benefits and reduce your homes energy usage. There have been several recent studies on just this topic. 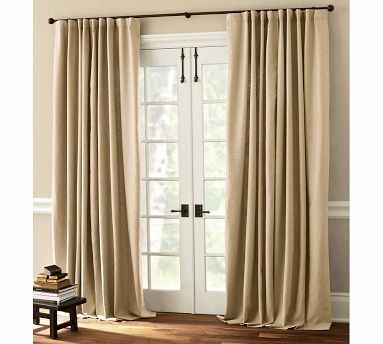 In fact, one energy study conducted by University of Texas, noted that adding insulated drapes to a single glazed window reduces heat loss by 56% (48% for double glazed windows). 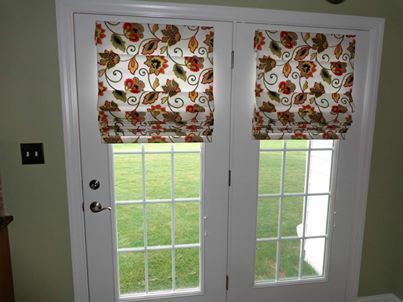 It also provides complete privacy, muffles sound and lasts longer than any other window treatment. 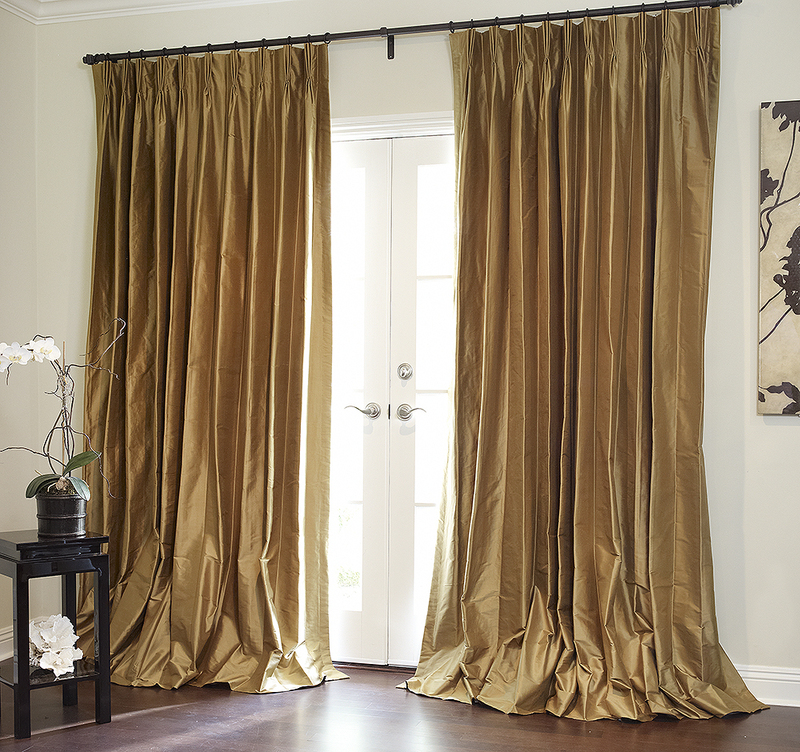 Standard Lining: A quality drape is manufactured with a lining which backs the primary drape material. 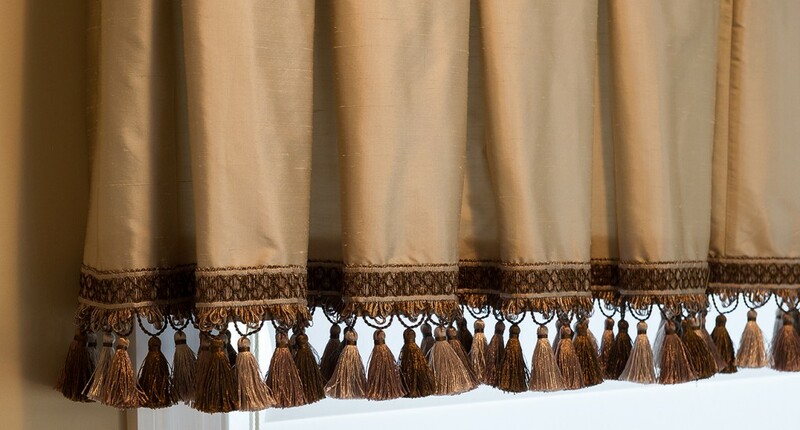 The lining protects the drape material from the damaging effects of sunlight which, over time, will fade and deteriorate the drape fabric, whether it is silk, linen, cotton or polyester. 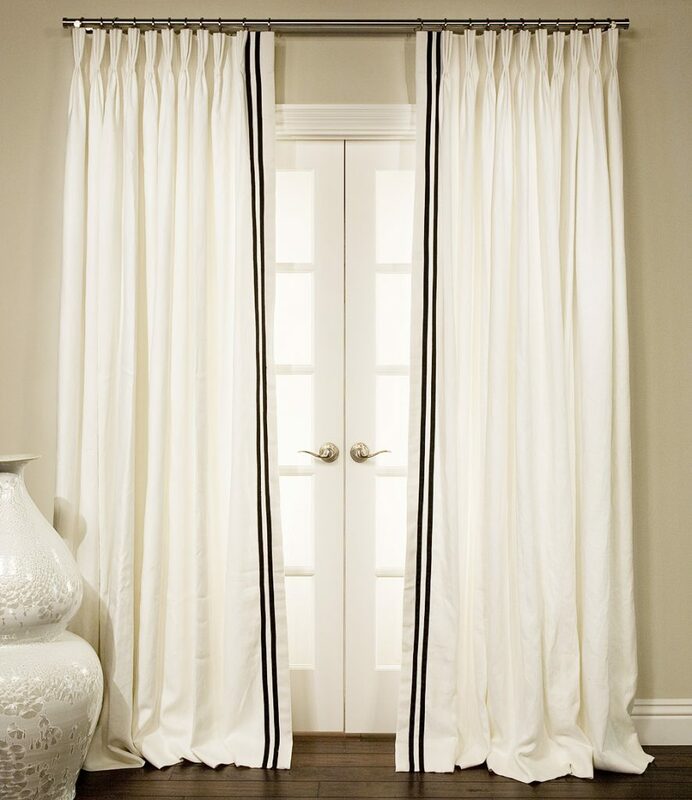 Quality linings are typically made from a blend of cotton and polyester. 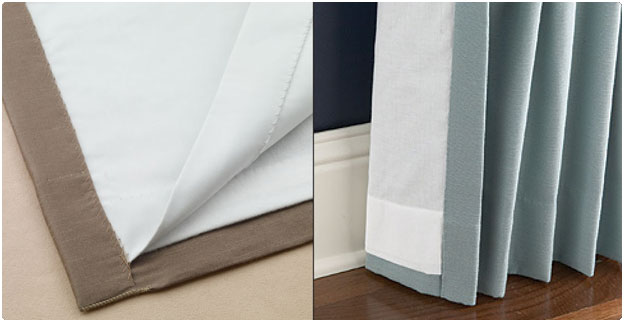 The cotton provides softness to the material while polyester provides wrinkle resistance and moisture protection. 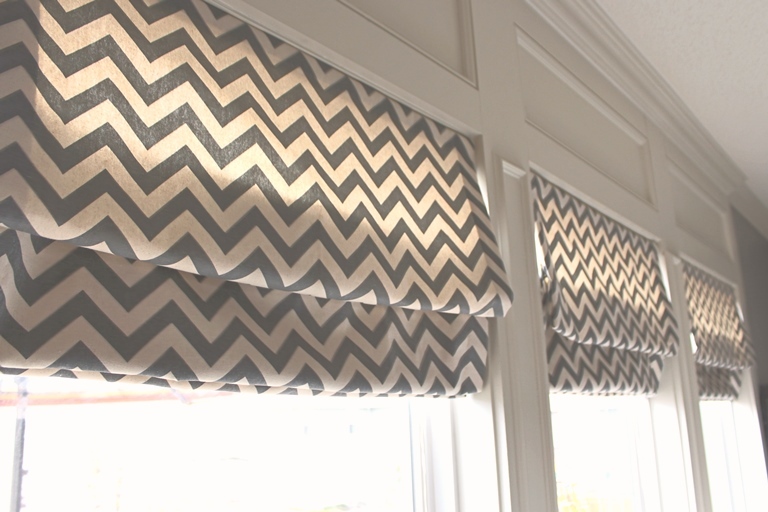 Standard lining adds a layer of protection with moderate light penetration. 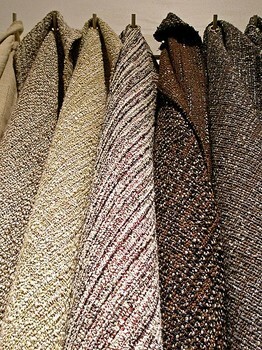 Flannel Interlining: The interlining is the layer of material between the fabric and the lining. 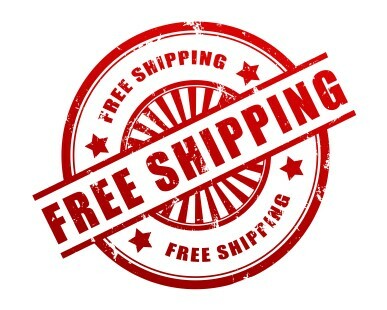 DrapeStyle uses a 100% cotton, premium, heavy-weight flannel interlining. 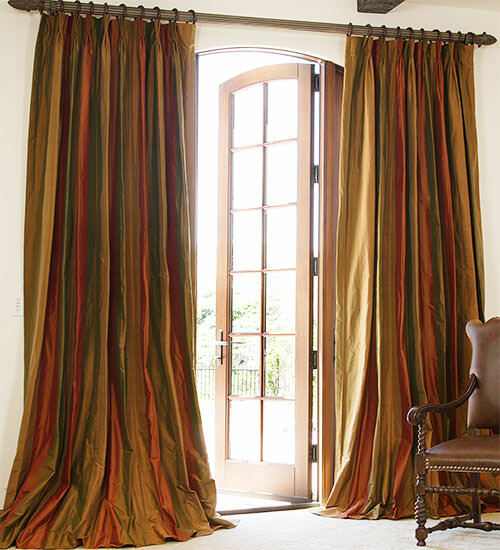 The flannel is loosely woven to provide a greater insulating factor and dramatically add to the fullness of your custom drapes. 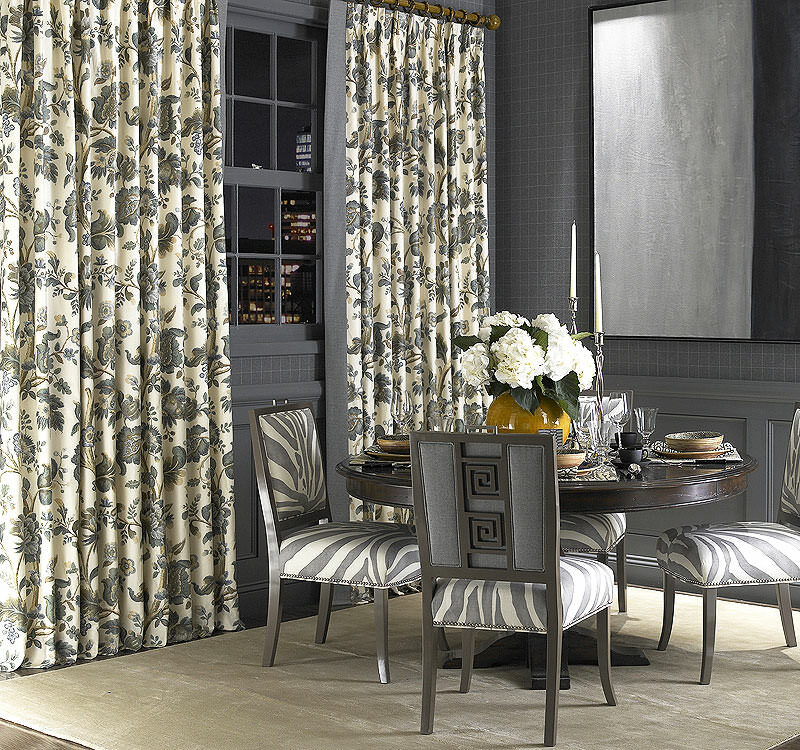 You may choose flannel interlining and standard lining, or flannel interlining and blackout lining to your custom drapes. 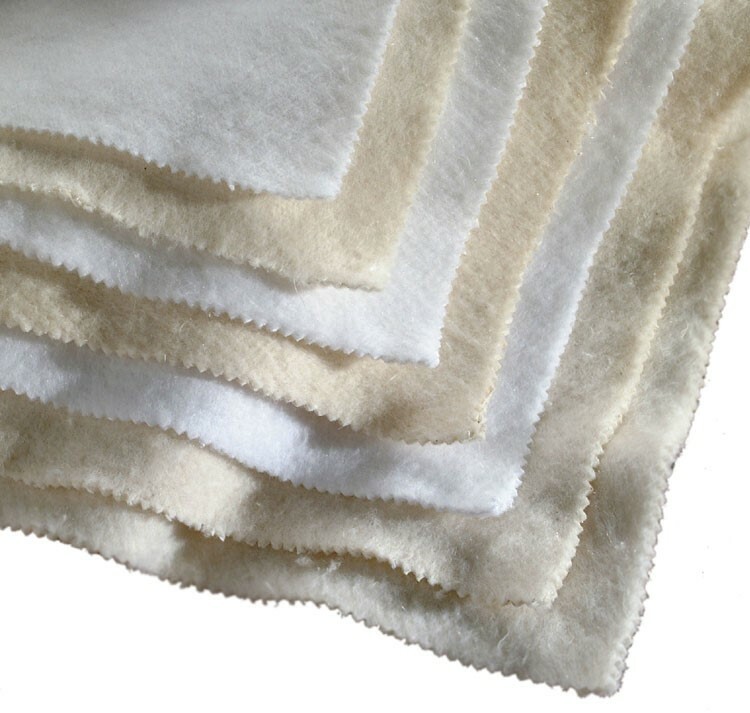 Bump Interlining: Bump Interlining, or “English Bump” as it is often called is an extremely heavy-weight 100% cotton flannel interlining. 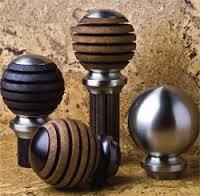 The name “English Bump” refers to its use as the home’s primary insulation in early nineteenth century England. 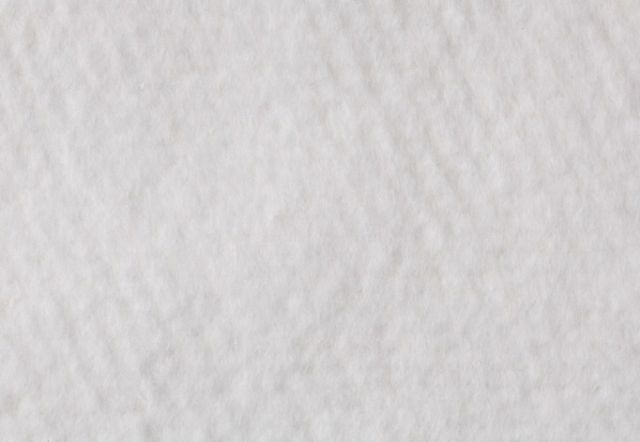 At more than twice the thickness and weight as our flannel interlining, bump is the perfect choice when sound and climate insulation are required. 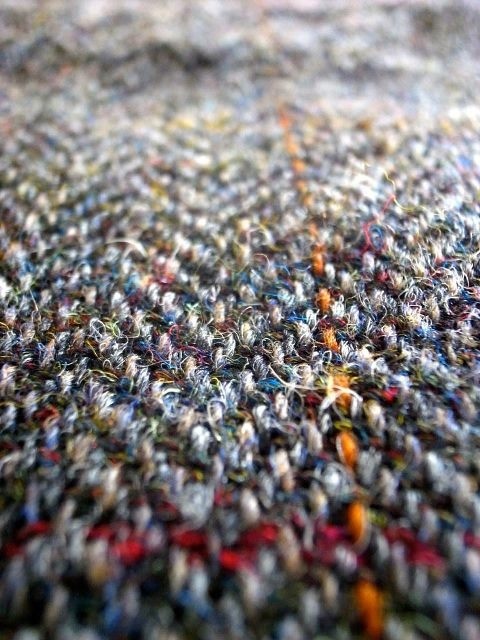 Bump interlining is sandwiched between the fabric and the lining. 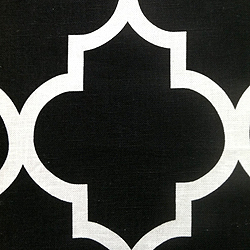 You may add bump interlining with your standard lining or blackout lining. 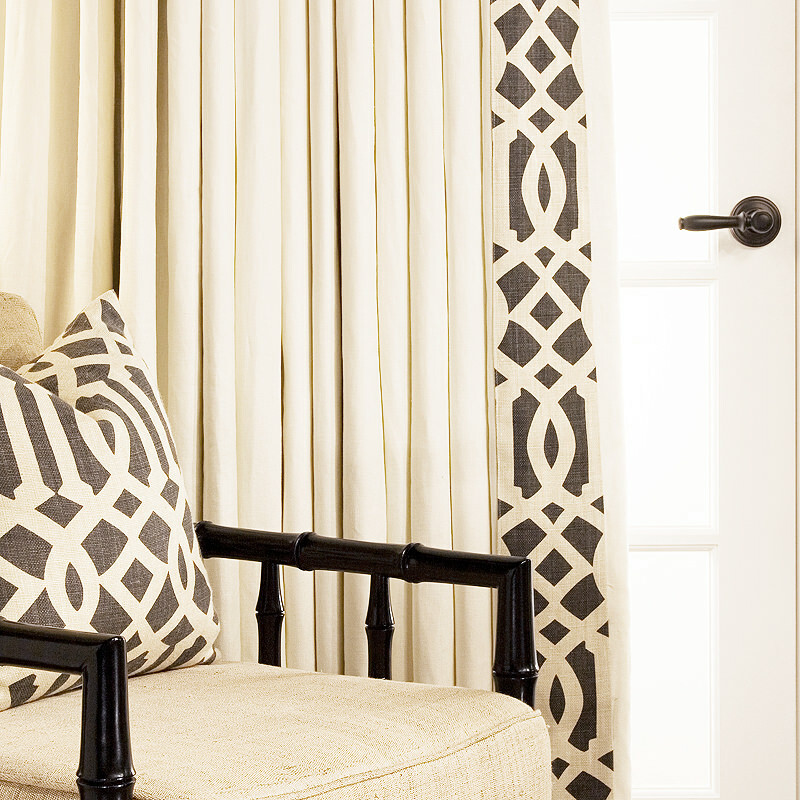 Blackout Lining: We often refer to “Blackout Lining” as the “Boutique Hotel Look”. 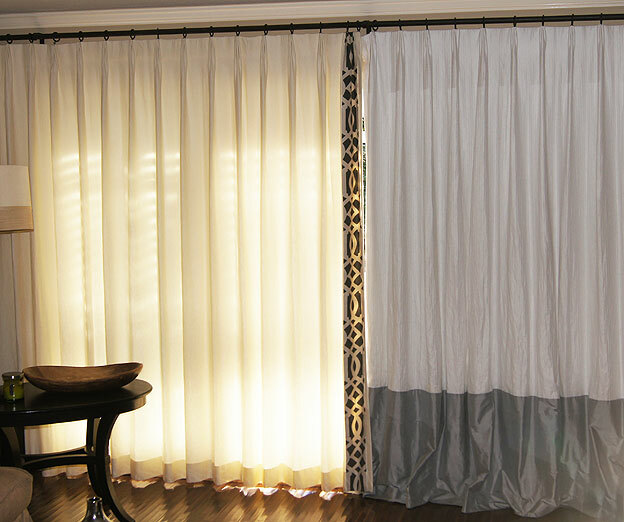 Blackout lining is almost exclusively used in hotel rooms as it blocks nearly 100% of the outside light from penetrating the drape. 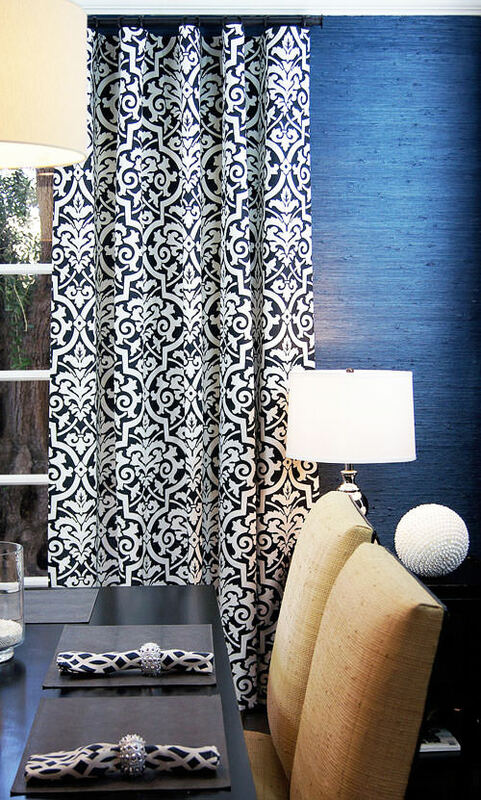 Blackout lining is a synthetic material which is very heavy and (like in most hotels) can be very rigid. 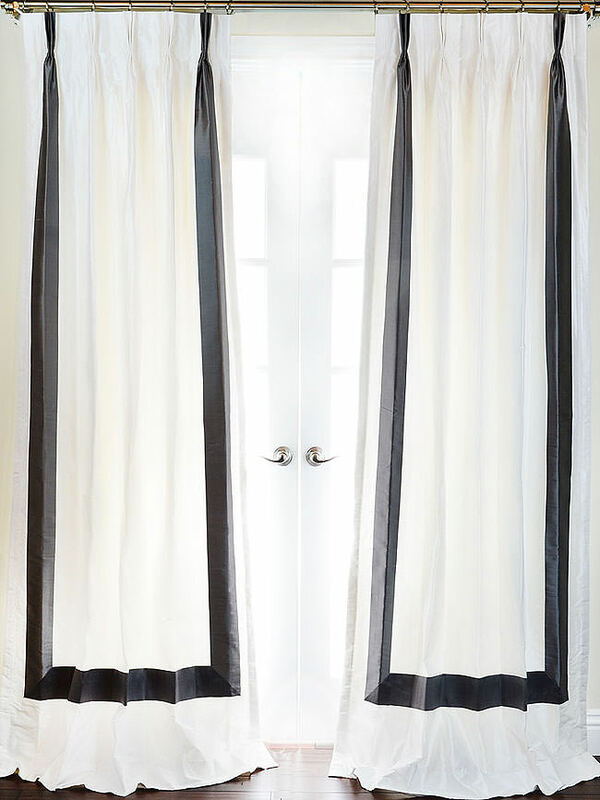 There are several types and grades of blackout lining and at DrapeStyle we use a very specific blackout lining that is extremely flexible and soft. 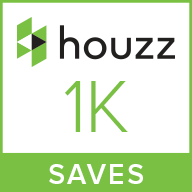 Blackout lining is quite expensive but if you are looking for nearly complete blockage of sunlight, streetlights and UV Protection, it is a great investment. Still have questions? We’re here to help. 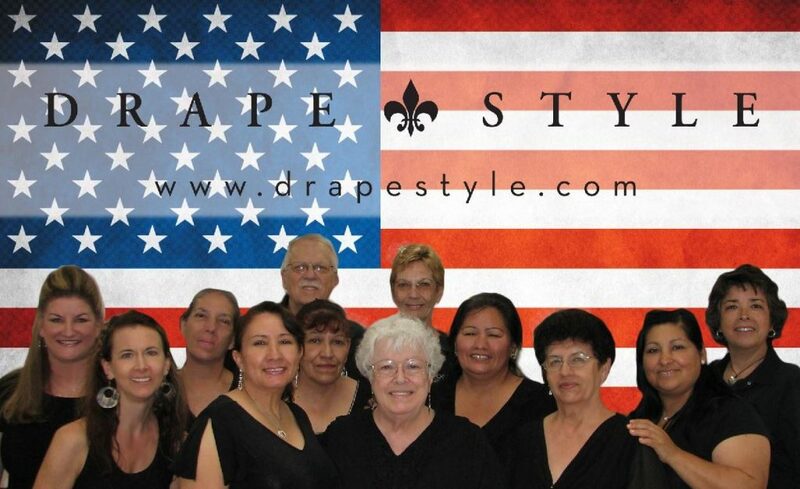 At DrapeStyle we have been making premium quality custom drapery for homeowners and designers in the US and Canada since 2002. 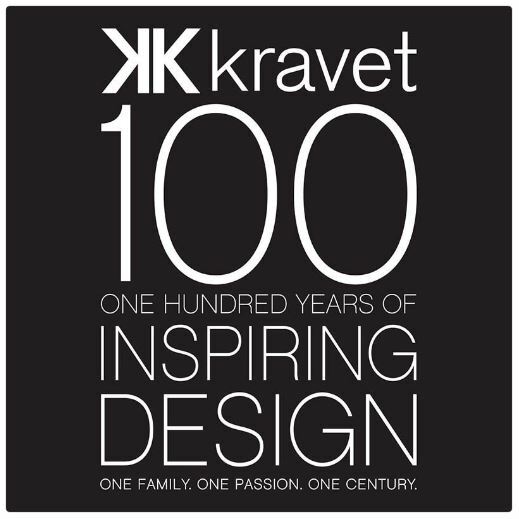 If you have questions or would like samples of any of our fabrics or linings, please contact one of our designers at 800.760.8257. 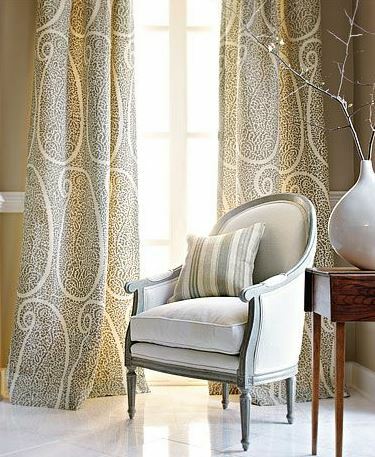 We will be happy to help you with the process of ordering your custom drapes, curtains or roman shades.